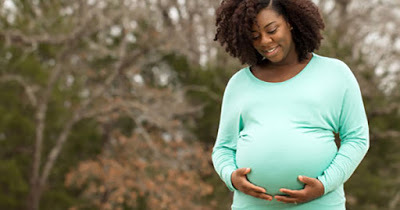 According to the Centers for Disease Control, Black women are three to four times more likely to die during pregnancy or childbirth. Meanwhile, "In New York City, [Black women] are twelve times more likely" to be at risk, as told by Yael Offer, a nurse and midwife at St. Barnabas Hospital in Brooklyn, New York. Offer, a reproductive and birth justice activist who empowers women of color, said that the large disparity in maternal mortality rate is caused partly by racism. Stories of Black women who experienced disrespect from healthcare officials prove the case. Serena Williams, for instance, encountered some doctors who were not taking note of a Black woman's concern about her body which in turn would result in pregnancy complications and eventually, death. Black women from the economically challenged areas in New York such as Brownsville, East New York, and the South Bronx have higher risks. But that is not the case with White women. "The conditions of white women improve up the socioeconomic ladder. Black women don't have that improvement," Offer explained. Even though there are more challenges that Black women face upon pregnancy, they can still do something and support themselves. "If it seems like it's not right or it's off or it's concerning to a patient where they're being seen in the emergency department of the labor and delivery ward, they should speak up for themselves," said Dr. Sarah Jamison.